At their November meeting, the WEA Board of Directors approved the membership applications of four new members - Columbia Bank, Scott Eaton, Holland Partner Group, and the Oregon Sports Hall of Fame. Columbia Bank has grown with the community that puts people first. It has comprehensive solutions and expertise to meet the evolving needs of businesses and individuals. Scott Eaton is a consultant with expertise in annexation, re-zoning, and successful approval of a PUD to prepare land for urban density development in a suburban, mass transit location. Holland Partner Group is a recognized leader in the development of high-quality investment properties in the Western United States. Its endeavor is to work together to create residential and commercial projects that exceed expectations. 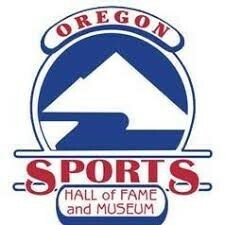 The Oregon Sports Hall of Fame and Museum is an organization built on the lessons of sports and its tremendous impact on society. Sports serve society by educating youth regarding the virtues of pursuing excellence within the principles of fair play, team work, friendship, solidarity, and a mutual understanding and respect for human dignity.